Professional MIDI USB controller integrated with Serato ITCH software. 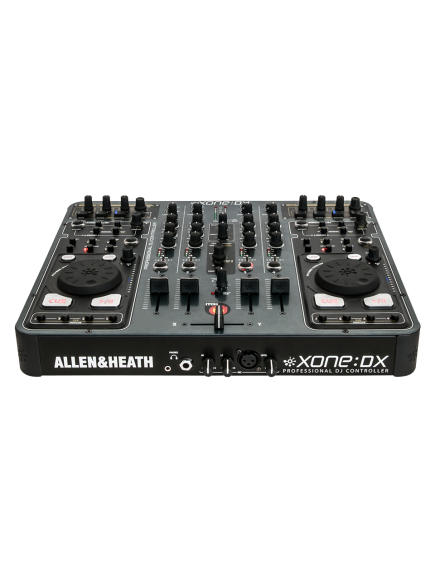 The Xone:DX is a performance audio controller for electronic DJs and is the result of close design collaboration between Allen & Heath and Serato. The Xone:DX with Serato ITCH DJ software offers 4 Virtual Decks and Serato DJ FX. Allen & Heath are the fourth major manufacturing partner to co-engineer on the Serato ITCH platform. 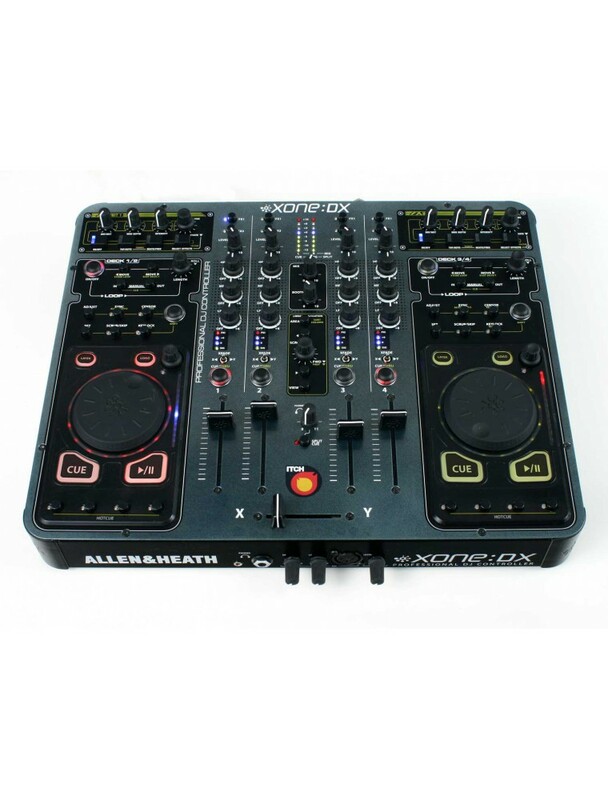 Using their 40 years of experience creating world-class mixers and specialty controllers, Allen & Heath has created another excellent medium for electronic music performance. The Xone:DX with ITCH provides the electronic performer with precise control and manipulation of more audio. Built with over 100 preset performance commands and some serious audio processing, the 4-channel mix control on the XONE:DX is routed to a massive 20-channel 24/96k USB sound card. 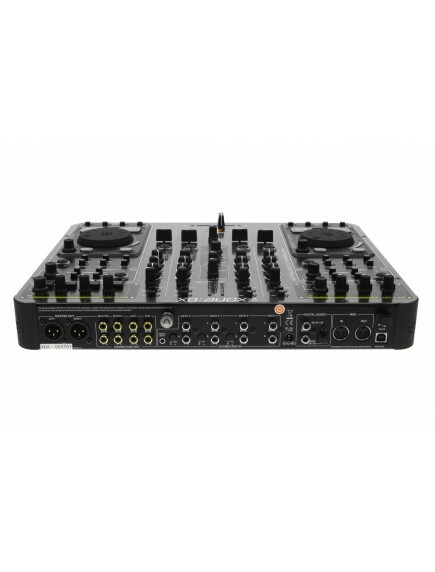 This means the Allen & Heath mixer comes equipped with loads of extra inputs and outputs for integration with other audio tools or simple blending of your existing external audio equipment like a turntable, drum box, or sound module. 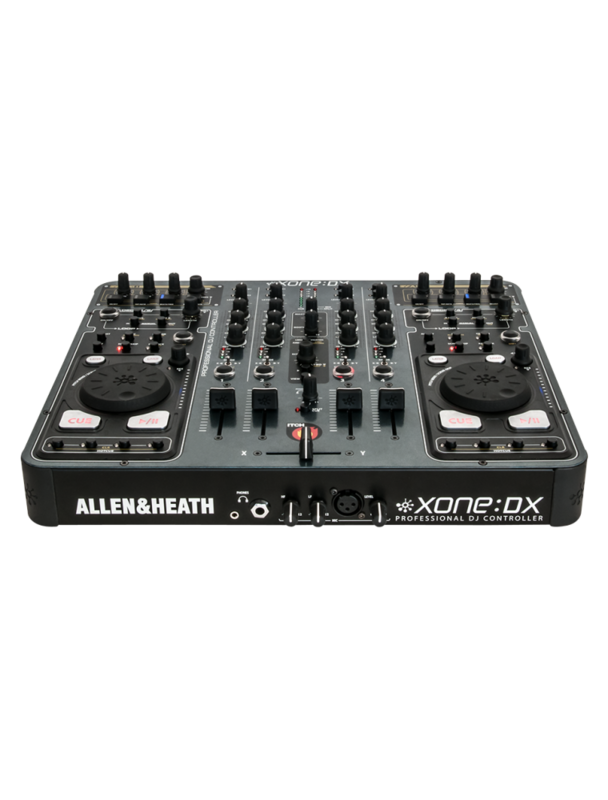 The 4 Virtual Decks of the Allen & Heath XONE:DX mixer exist in a clean uncluttered environment on the ITCH software interface. Using the DX library navigation control, you can quickly make selections from your crates. You can then accurately mix 4 audio tracks on the virtual decks along with other external sources. Each of the XONE:DX's virtual decks can be assigned multiple Serato DJ FX that are hosted in ITCH software. DX is official ITCH hardware, Serato has made sure it all works right out of the box.